During a divorce, particularly one in which there is substantial household debt, debt division can become just as important as property and asset division. 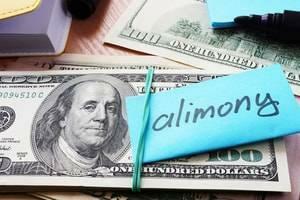 As with assets, debts incurred during the marriage should be divided in a fair and equitable manner. To ensure your interests are protected during this process, it is important to work with an experienced family law attorney. At Mevorah Law Offices LLC, we have provided skilled representation to clients going through divorce in Chicagoland and throughout Illinois for over 35 years. Our award-winning attorneys have extensive experience with even the most complicated divorces involving challenging issues such as debt division, bankruptcy, retirement, 401k accounts and pensions, tax consequences and similarly complex issues. We are recognized not only for our skill and experience, but for our unwavering dedication to serving the interests of our clients. Our lawyers are honest, compassionate, accessible and approachable. We keep extended evening and weekend hours to accommodate your busy schedule, and we respond quickly to all client questions and concerns so you are always kept informed on the status of your case. In general, loans and credit cards taken out during the marriage are subject to debt division. However, issues often arise when one spouse has run up high balances on one or more jointly held accounts. Though the names of both spouses may be on the loan or credit card, the court may assign the debt to the spouse responsible for incurring it. Another factor the court takes into account is the income of both spouses. For example, if one spouse earns all the income and the other is a stay-at-home parent, the court may assign the majority of the debt to the spouse who is in the better financial position, regardless of who is primarily responsible for incurring the debt. As with asset and property division, there is always the possibility one spouse is concealing certain debts during the divorce proceeding. The problem often occurs later on if the spouse with the hidden debt fails to keep up the payments. If both names are on the account, the other spouse may be held responsible and face future collection actions, even if they had no prior knowledge of the debt. During the discovery process, our lawyers perform a thorough investigation to uncover hidden assets and debts so there are no surprises later on. Debt division is among the most complex issues in a divorce proceeding. 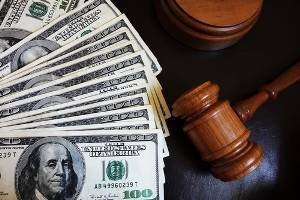 There are many factors used to determine the distribution of assets and debts, and it is essential to have strong legal counsel aggressively advocating on your behalf. For a free consultation with one of our experienced and compassionate Illinois divorce attorneys, contact our office today at 630-932-9100630-932-9100. We have 5 convenient offices to serve you including Lombard, Bloomingdale, St. Charles, Joliet and Chicago.